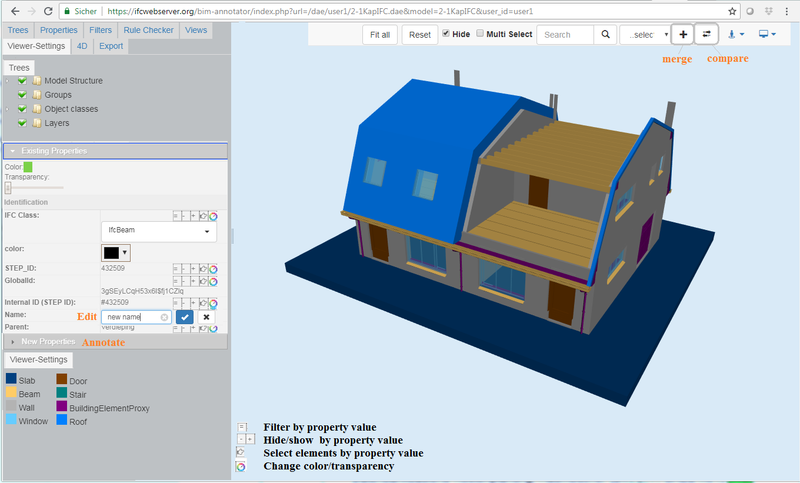 It aims to simplify sharing and exchanging of information from BIM models using open and standard formats like (IFC, HTML, XML, CSV, JSON) and check the quality of BIM models (Level of Details, Level of Development). BIM managers and designers can query, filter and make reports about any information inside IFC models easily. 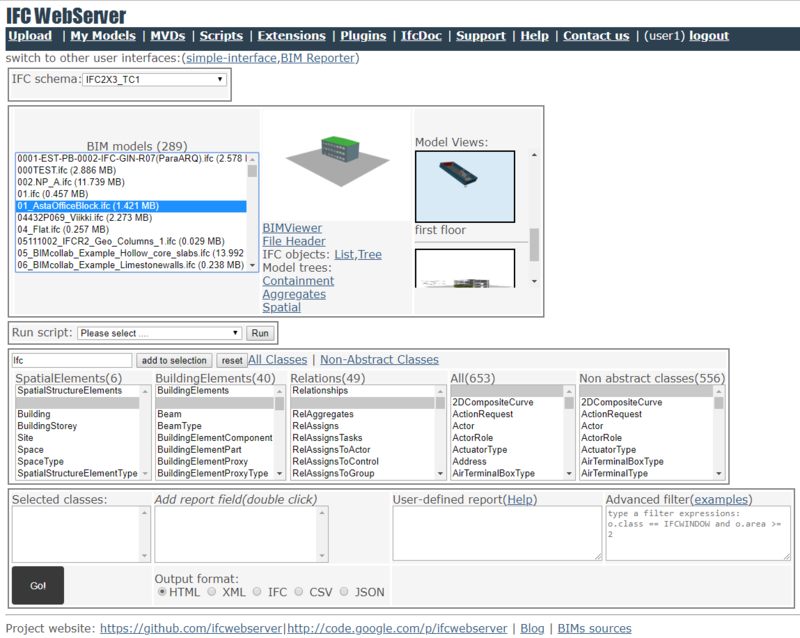 IFCWebServer enables full access to all information and relations inside IFC models. It supports by default all IFC official release starting with IFC2X_Final issued on 2001 to the latest release IFC4 Add 2 release issued on July 2016. Moreover, it supports any valid IFC sub schema or extended schema so it can be used by researchers and IFC developers . The IFCWebServer can be used also in universities as an easy to use portal within BIM courses. Students can register and upload IFC models, explore the models structure, apply filters, create sub-models, generate reports, study the IFC datamodel and compare IFC official releases.